The mashup begins with Sheeran’s song predominating. Cardle, however, is heard softly in the background, singing backup with that high, squeaky voice of his, sounding like a very emotive cartoon mouse. For the purpose of this mashup, these songs have both been transposed to keys other than the ones in which they were originally performed. About a minute and a half in, Cardle stages a full-on musical coup, taking over the song entirely. 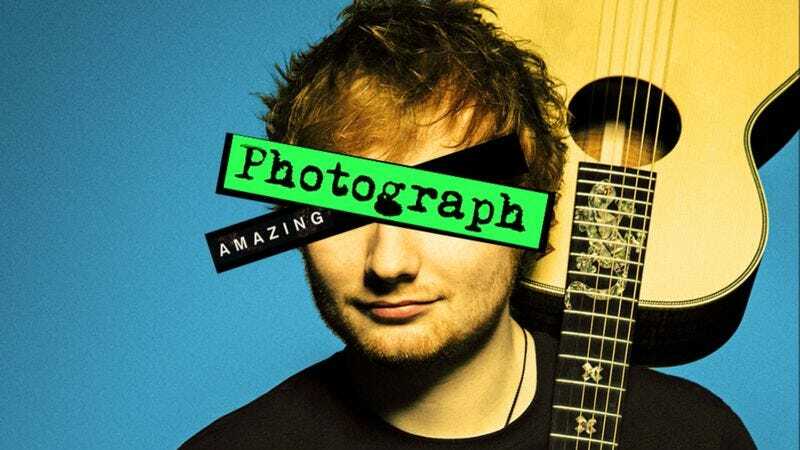 “Photograph” and “Amazing” are so similar sounding, however, that the difference barely registers. Listeners could conceivably listen to “Amazing,” “Photograph,” and “Amazing Photograph” back to back and emerge from the experience not knowing whether they’d just heard three songs or the same one three times.